Last week I talked about enjoying Manchego with nuts as a fantastic way to boost your health and energy levels. Manchego & walnuts are my favorite combination. Almonds and pecan nuts are excellent options too. Today I’ll dedicate the post to pairing Manchego with almonds. This is an all time classic snack in Spain, popular as a small “tapa” for the “aperitivo” and also great to eat while watching TV. Manchego goes well with both raw and roasted almonds. Spaniards normally enjoy Manchego with the Marcona type of almond. This nut – native to Spain – has also become a very popular item in specialty cheese stores in the US too. This tells a lot already about its versatility as a cheese partner! 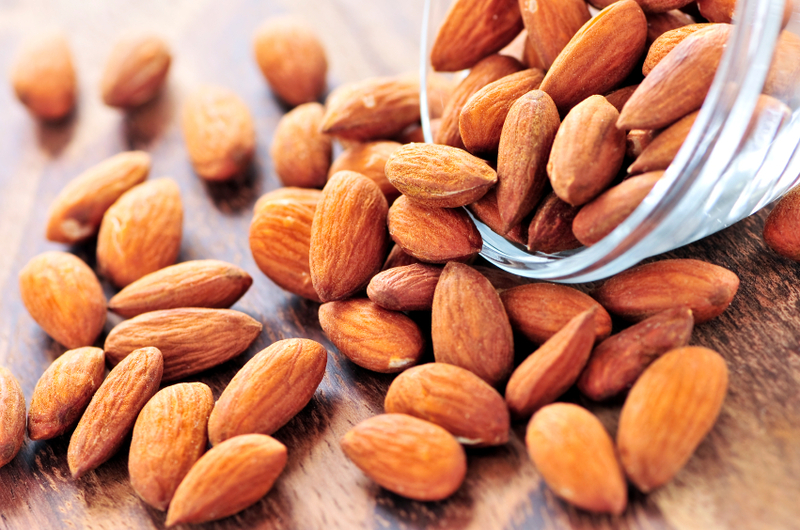 Try and find Marcona almonds roasted in oil and salted – I prefer them without skin but, since you can also eat their skin, with and without skin are perfectly fine options. Almonds + Manchego + Apple slices = The perfect mid-morning snack. Not only tasty and healthy, also easy to prepare and carry to the office. Almonds + Manchego + Cava (Spanish sparkling wine) = A sophisticated appetizer that will surprise your dinner guests. Just two great ways to enjoy Manchego & almonds. What would your suggestions be?